The Dutch company Soel Yachts is determined to change the boating industry by addressing sustainable sea transportation. 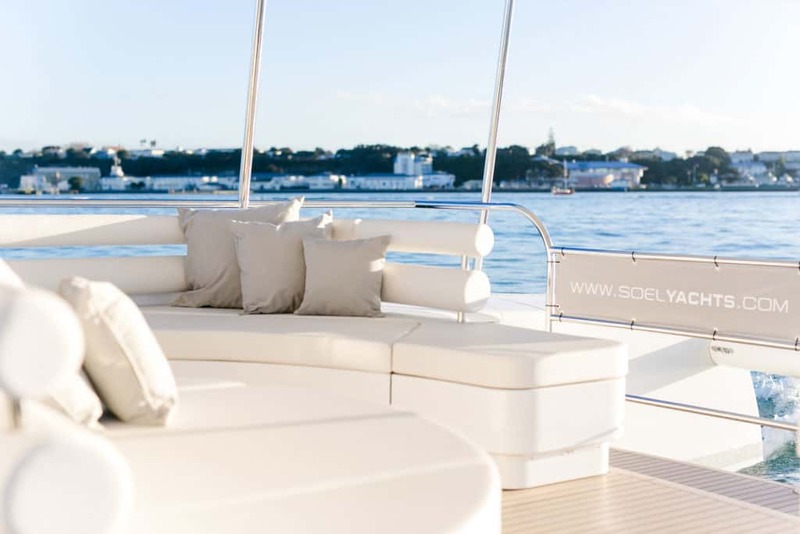 Together with their partner the Okeanos Foundation for the Sea and Naval DC, Soel Yachts puts their 11 years of solar electric naval architecture experience into the SoelCat 12, a fully sustainable vessel proven for saltwater operations. 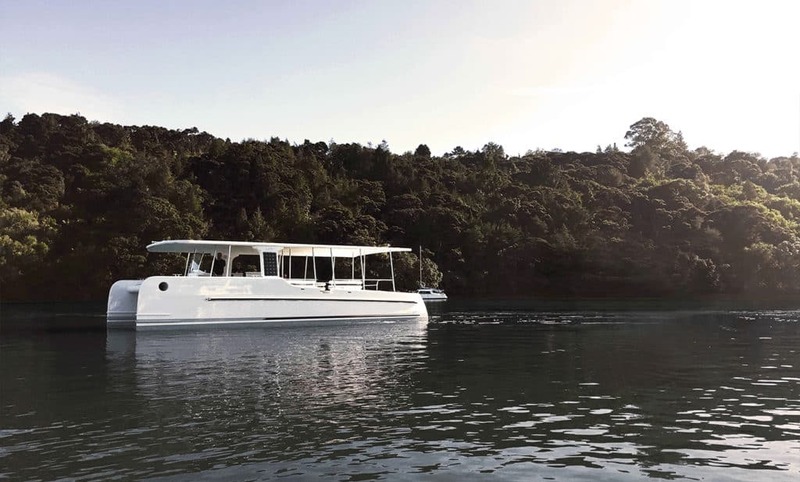 This week the solar electric 16-person catamaran, built in New Zealand, was launched by Soel Yachts in Auckland. Energy autonomous and ready for all water taxi services, dive operations and reef excursions, “the SoelCat 12 reduces all disturbing sound and CO2 emissions in our harbours, lagoons and oceans”, proudly emphasises Joep Koster, co-founder of Soel Yachts. The vessel therefor presents the perfect model for the Okeanos Foundation for the Sea, who’s mission is to accelerate the transition to sustainable sea transport on our oceans. 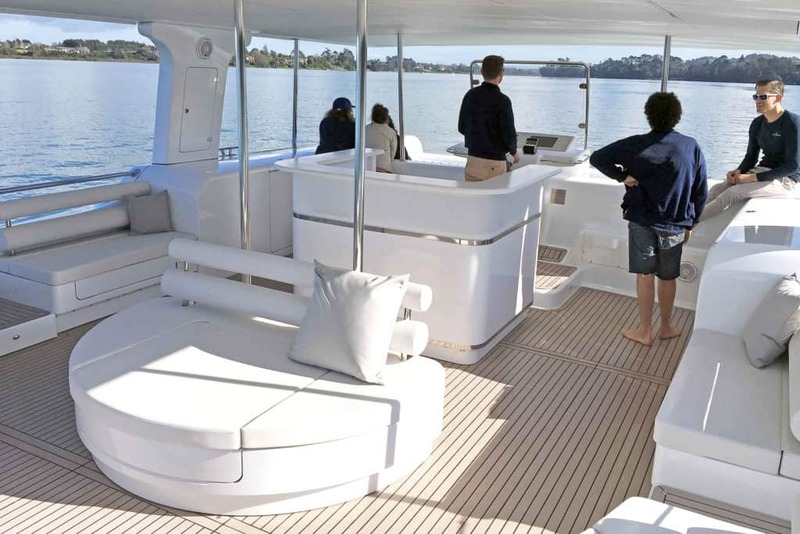 With an installed battery capacity of 2 x 60 kWh, the SoelCat 12 standard operational profile is set to a cruising speed of 8 knots with a range of 6 hours solely running on battery power and a maximum speed of 14 knots. Once the sun starts to shine the vessel’s cruising speed of 8 knots is prolonged to 7.5 hours. Lowering the speed to the so-called ‘break-even speed’ at 6 knots results in a 24-hour range and this is even throughout the night when there is no energy harvest from the solar array. During downtime, the vessel turns into a mobile power station, which is able to supply up to 15kVA for land based facilities. This means that solar catamaran is capable of providing energy for up to five households, even at the most remote places. For the first time communities in the Pacific, nature reserves and water bound resort can turn into self-sufficient eco-destinations, producing their own clean energy on the water and even use it on the land. 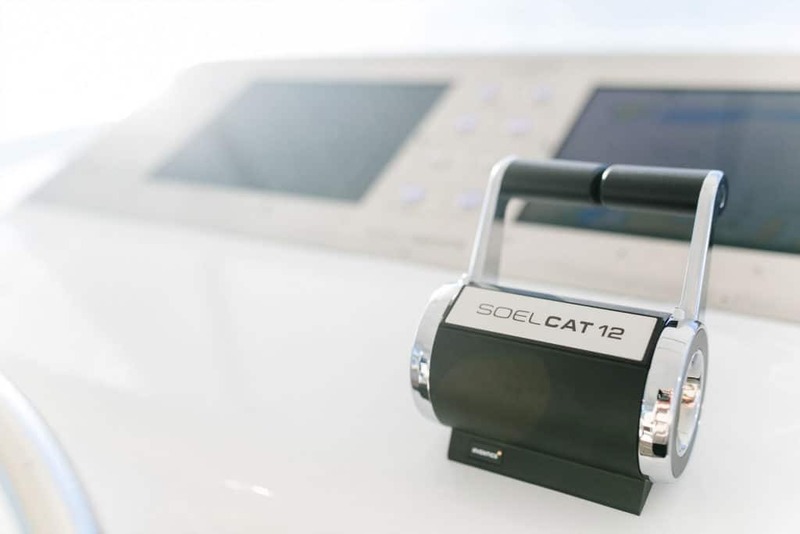 Providing the passengers with a simple and easy to understand real time insight into the SoelCat 12’s systems is very important to Soel Yachts and Naval DC. The Naval UI monitoring, alarm & control system keeps all passengers on board informed about the most important system data, which makes the energy flows on board really easy to understand (just like in a Tesla) and thus educates people to drive the vessel more energy aware. All it takes is to connect your smart device (iPhone, iPad) to the SoelCat 12’s guest Wi-Fi. And while the captain can control the lights and various other systems via the Naval UI, guests on board are invited to connect with their smartphone to the vessel’s sound system and play their favourite music, wirelessly. The Naval UI also provides remote monitoring capabilities, so Naval DC can assist in providing system services, remotely. The SoelCat 12 is the first viable solution for solar electric sailing available for a worldwide market. Engineered and designed as a smart modular vessel, the solar electric yacht can be disassembled and transported to any location at very low rates via two 40ft containers. This vessel not only allows for quieter, more pleasant rides and tours, it also provides comfort and higher speeds, without having to make any compromises on board!